Brand new, 2018 Fender 1957 Heavy Relic Custom Shop Stratocaster HSS - Vintage White Finish - Lacquered. Unplayed, still in a box, not been a demo in a store. 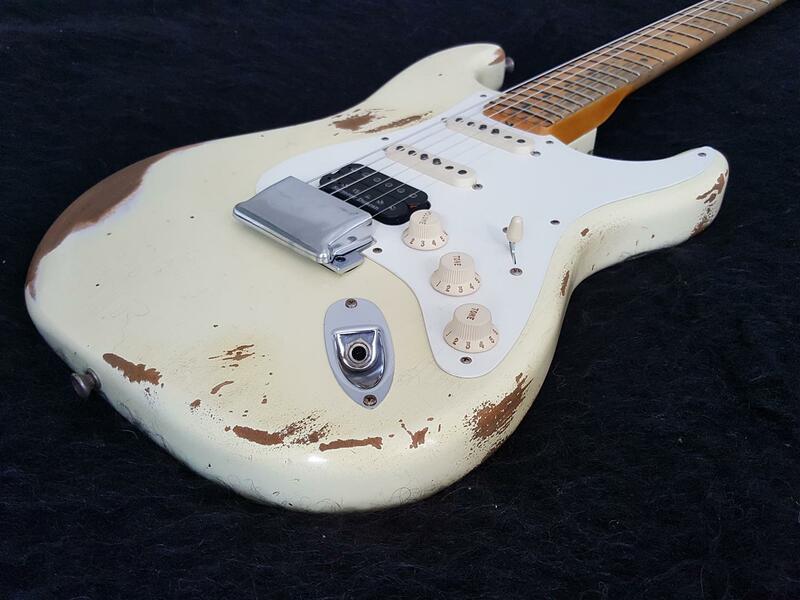 This is a rare Fender Heavy Relic Custom Shop Historic '57 Reissue. Comes with Custom Shop Certificate of Authenticity. Includes a Custom Shop Strap, hard cover glossy Custom Shop 2018 design guide book, pkt of picks, case keys, tremolo arm, removable bridge cover, replacement tremolo assembly for heavier string gauge, allen keys, owner's manual and swing tags. Includes a Custom Shop Tweed 50's Style Case & COA.